There are those that take overlanding quite seriously. They engage in round-the-world travel, access exotic locations over challenging terrain, and push the very limits of their vehicles, their equipment, and themselves. As inviting as the thoughts of such adventures are, this is not one of those projects. Despite the popularity of confusingly applying the “overlanding” term to afternoon trail rides or car camping, we’ll refrain and simply state that our intention is to explore what America has to offer by vehicle, within the constraints of our budget and available time. Perhaps “adventure travel” is more fitting, and can apply to driving to see our natural wonders, visiting popular attractions, taking in historical sites, and stopping in on places along the way to help us appreciate our unique country. From our home in the Atlanta area, we will undertake local, regional, and national road trips as time and resource opportunities permit. North Georgia has miles of dirt roads, forestry roads, and trails suitable for exploration. In some cases these will simply be day trips into the North Georgia Mountains or weekend excursions around the southeast, but several times a year we hope to take extended trips and range out west or into the upper midwest or northeast. Where and when possible, we’ll take the less-traveled route and try to avoid the rush of the interstates, though in some cases they’ll be necessary to get us adequate time to explore a destination once we arrive. We’ll sometimes camp and sometimes motel. 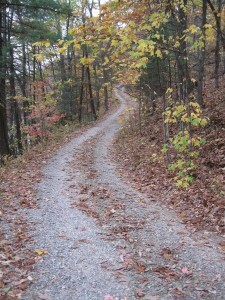 The vehicles will be primarily setup to take on less maintained roads and light trails when we wander along those routes, but while the delineation between four-wheeling and rural tourism may sometimes get blurred, we’ll acknowledge that sometimes the route to a worthy destination might be somewhat steep, muddy, or rocky. We’ll be suitably equipped for the challenges we choose to take on, but the desire to take on challenging trails for their own sake or bragging rights is no longer there. The project started with a pair of Grand Cherokees – a white 2005 WK and a black 2003 WJ – a salt and pepper pair that were very suitable for type of adventures we contemplated. Backing up this duo is a white 2007 Chevy Silverado extended cab 4×4 that can perform sherpa duties when required and can be used as a tow rig when necessary. In 2016 we replaced the 2005 WK with a 2016 Grand Cherokee Limited and in April 2018 replaced the 2003 WJ with a Toyota 4Runner SR5. A lot of what is written here will be on the preparation of the vehicles, communications activities related to travel and explorations, and comments on the gear. Of course we’ll also have write ups on our trips and destinations. There are also a number of excellent sites that provide valuable and relevant information on overland travel. Many of those have influenced us to undertake this project and we appreciate their inspiration. You are welcome to leave comments on this site. Due to the sheer number of spammers out there, you must first register, and then each post is moderated. It’s unfortunate it has to be this way, but we just don’t have the time to keep weeding irrelevant and unwanted posts to clean up things. Because this dual-step process is a pain, we promise to be respectful of your effort by replying and engaging our readers in discussions. If you would like to contact us, please submit a message below and we will follow up with you. We are not interested in purchasing anything, nor are we interested in schemes or “opportunities” to increase traffic to our site. Please save your time and ours by not bothering.